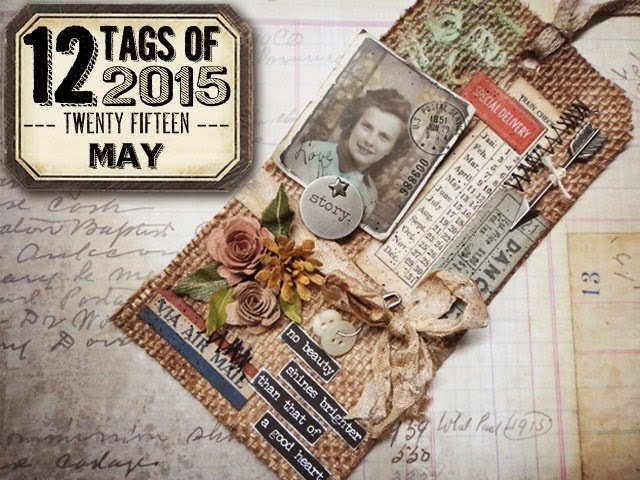 Hi :) I was finally able to play along with Tim's 2015 Tags again - this is May's tag. I got to play with some of my favourite items again - embossing paste and rub-ons!! I was in Duluth last weekend and found the Hobby Lobby store. Why have I not been to this store before??? I will share some of my goodies in another post! Anyway, coincidentally one of the items I picked up was a 4.5 x 6.5 inch burlap lined paper pad. How cool is that? It was perfect for this project - I just traced a manilla tag on the back, cut it out and punched a hole at the top. 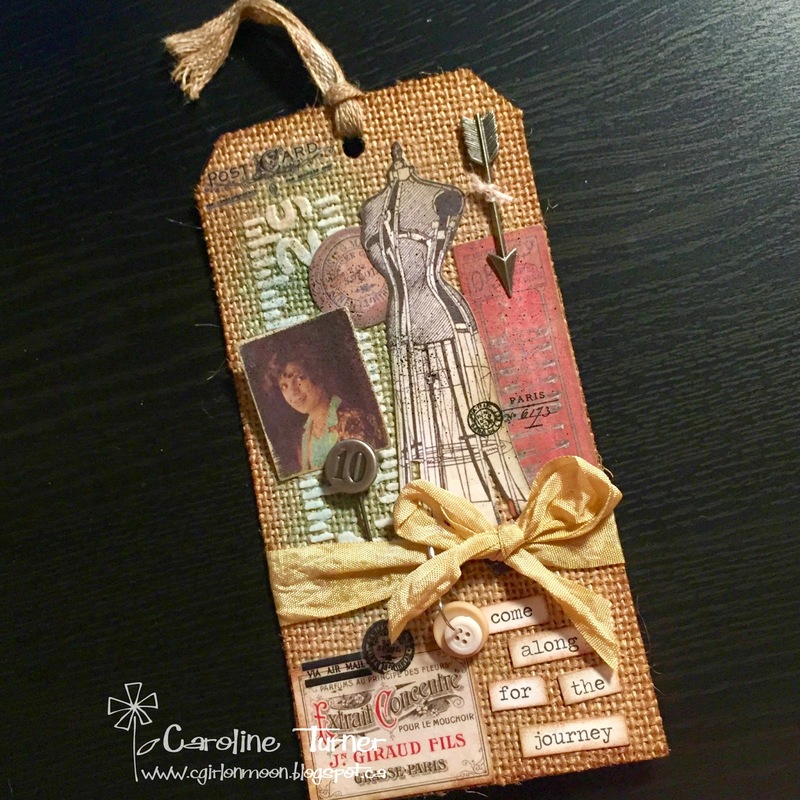 LOVED adding the embossing paste and rub-ons to the burlap :) Those tiny buttons were a fun addition to the ribbon - I never use buttons anymore. Oooh, this is so fun and fabulous! You know me, I love me my burlap!!! That paste looks super fun! Great job! I like that you used the dress form, perfect with all of the material and textures on your tag. I keep meaning to Tim's Tags…but never seem to.